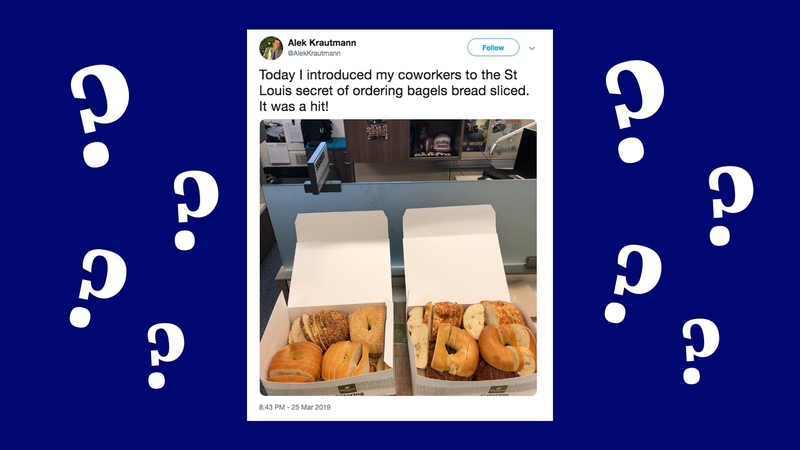 On March 25, a St. Louis man named Alek Krautmann innocently tweeted a picture of sliced bagels. Twitter, subsequently, had a meltdown. It seems the unusual way of slicing beloved bagels is not quite “a hit” with the rest of the world. We’re rounding up our favorite tweets on the matter. 3. Deeply upsetting to the Jews. 8. Is St. Louis just weird? 10. …Are they even bagels, really? 2. I’m reporting you to my rabbi. My great great grandfather didn’t leave the shtetl to become a barber in St. Louis (and get stabbed for sleeping with another mans wife) for this tragedy of midwestern Jewry to happen 100 years later! 12. Will Jews ever be OK?